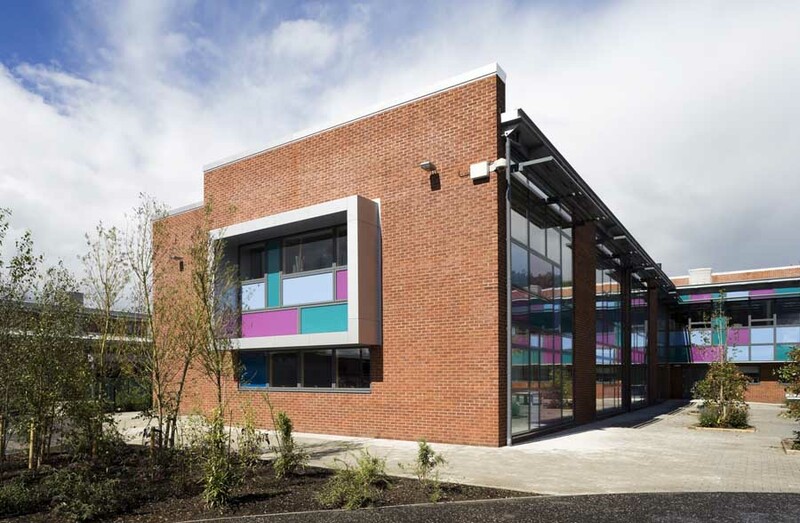 Govan Road Campus is part of ‘The Three Primary Schools’ project for Glasgow City Council, a quality and design bid won by Anderson Bell Christie in 2006. Feasibility / brief development exercise were carried out with school staff and stakeholders to determine the Council’s exact requirements. 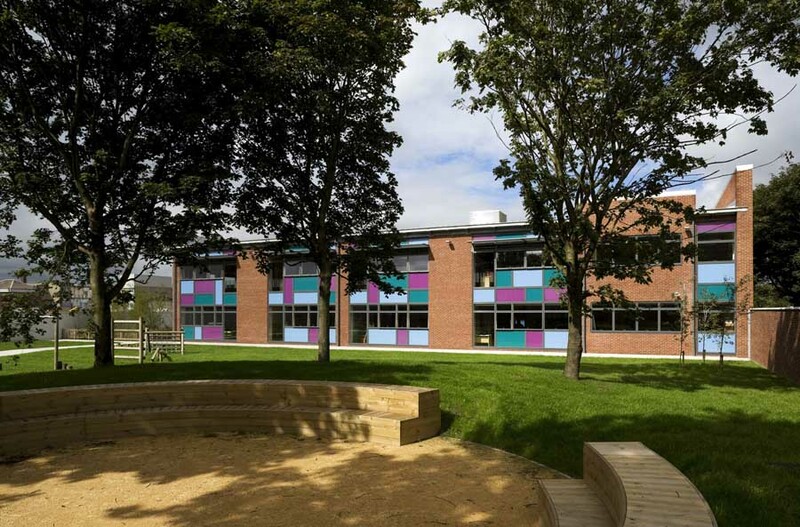 The Campus, located on the site of a previously existing school, St Gerard’s Primary, combines a number of denominational and non-denominational Primary Schools, and a pre-five facility. 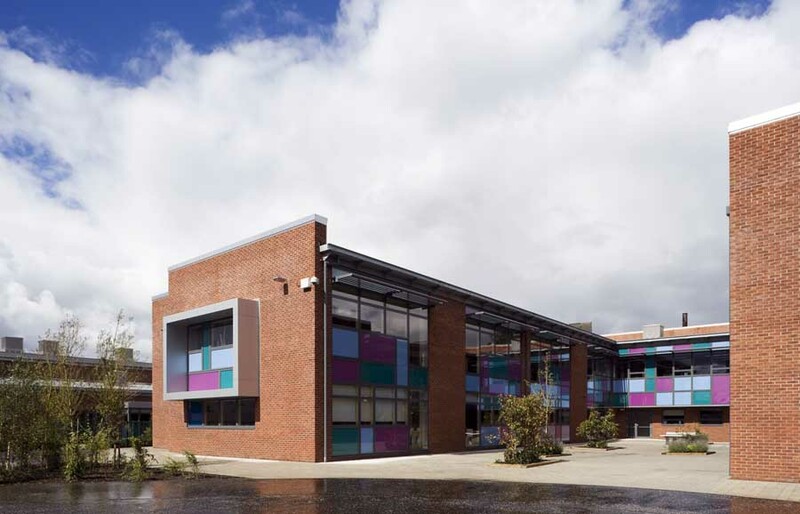 The Campus accommodates 15 Primary Classrooms, General Purpose rooms, and four Nursery Classes. 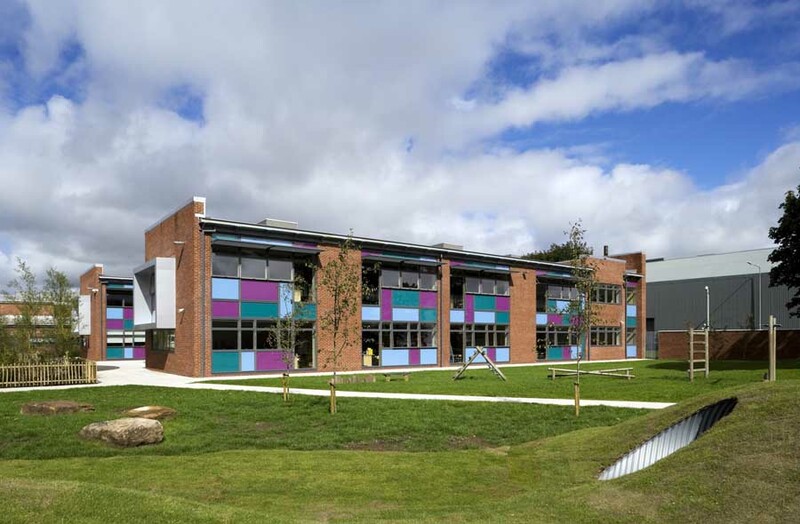 In addition shared community facilities are provided including a Gymnasium, Assembly Hall and drama space, full-sized multi-use pitch and changing facilities. 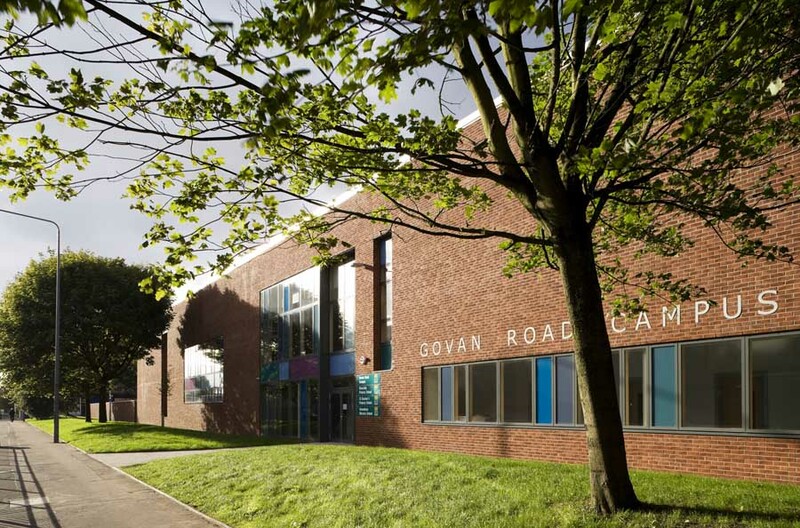 Govan Road Campus revives the civic solidity and presence of the traditional School buildings of the late 19th / early 20th century, while meeting the current and future educational needs of the community. 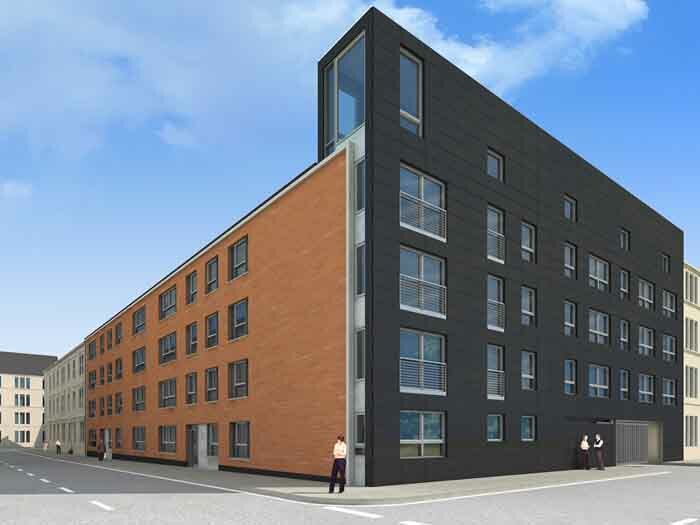 The Campus creates a new civic building along a reinvigorated Govan Road. Govan’s townscape is currently undergoing change, with substantial renewal and repair underway. 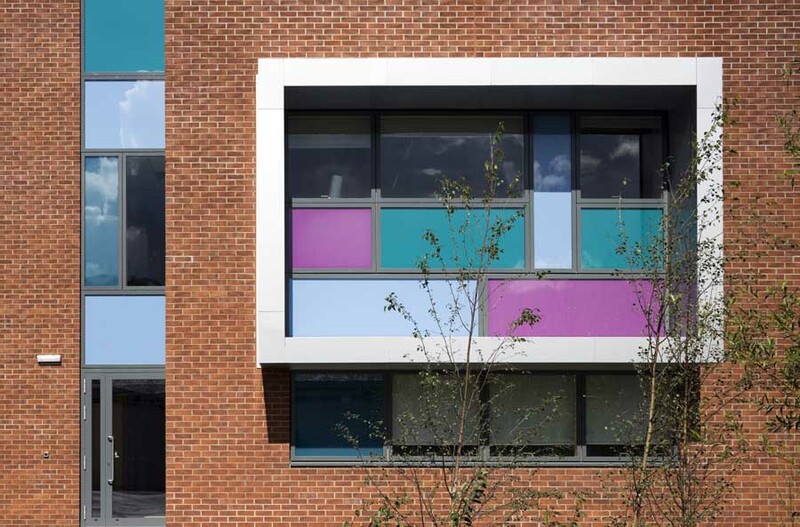 The Campus takes account of this wider area, occupying part of a substantial city block and functioning as a key community building, reinforcing the urban structure. 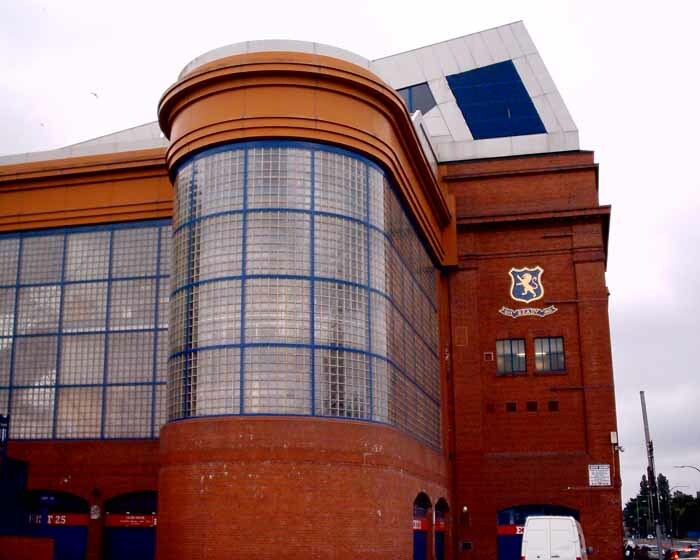 The building is set back from Govan Road, screened by formal tree planting. 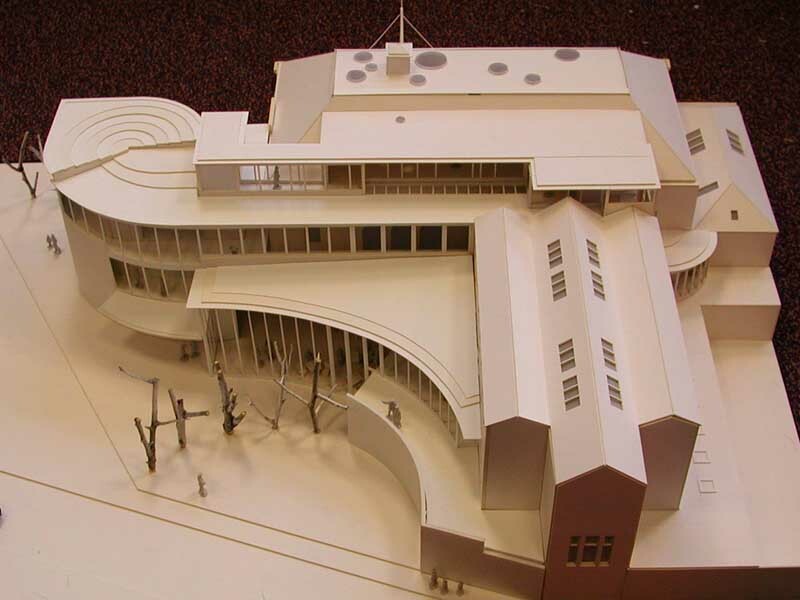 The creation of a public space to the west provides a potential site for the future insertion of a new Community Centre. 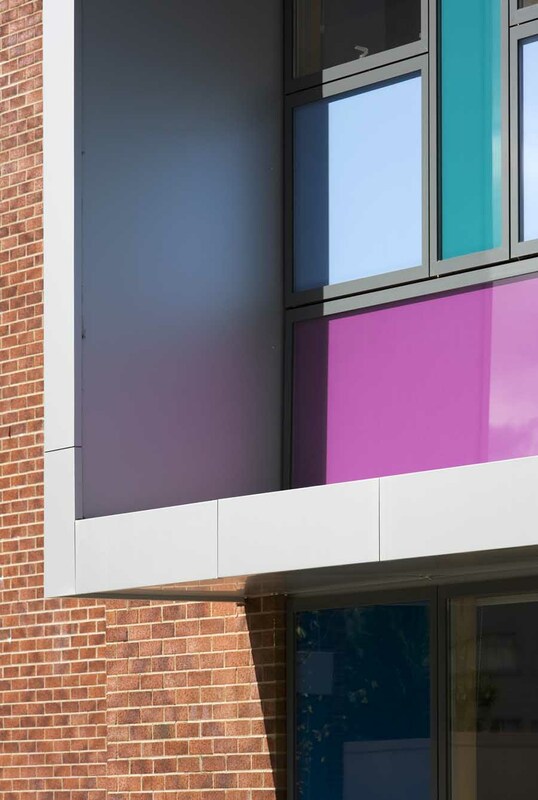 The north elevation of the Campus forms the public frontage, accommodating the principle public entrance and a secondary entrance from the new public space, which provides access to the community facilities. 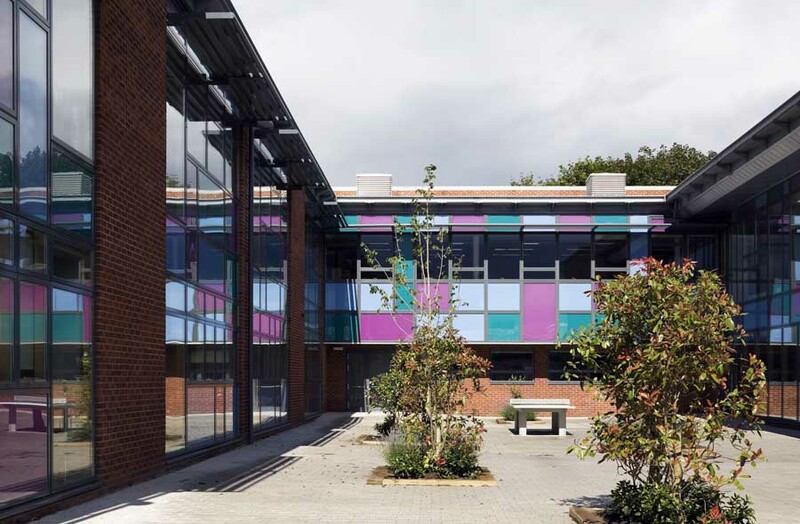 Coloured panels and glazing animate this elevation, providing glimpses of movement of pupils and staff around the building, behind the layers of existing and new planting. 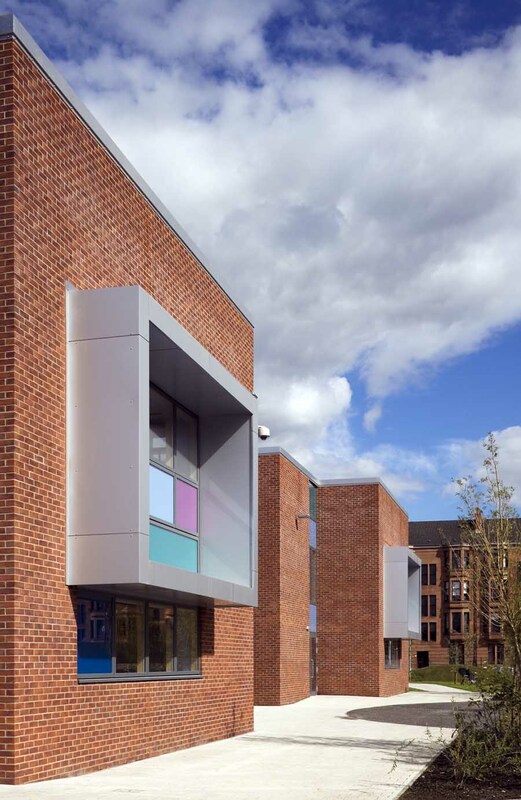 More robust textures of red brick face Govan Road and the public realm, while south facing courtyards to the back create a variety of covered and opened play spaces, which include educational planting, areas of fixed seating and a “wetland wildlife” area. 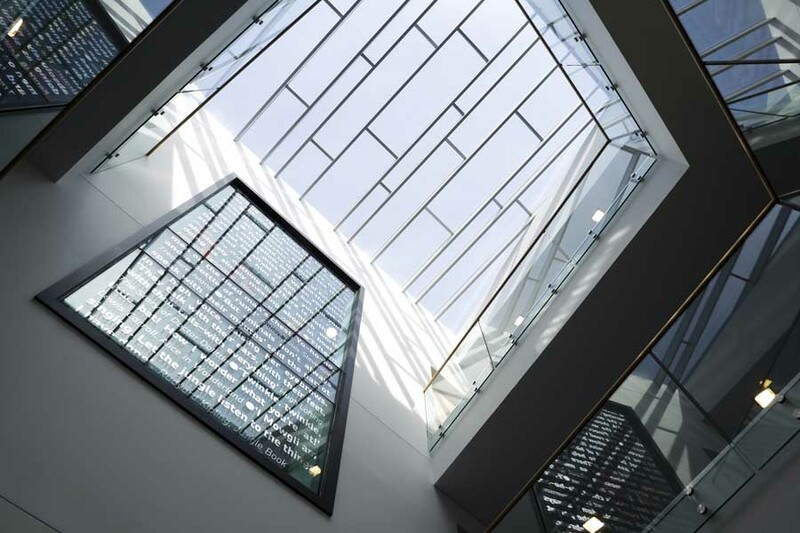 The building is sited to maximise its environmental performance. 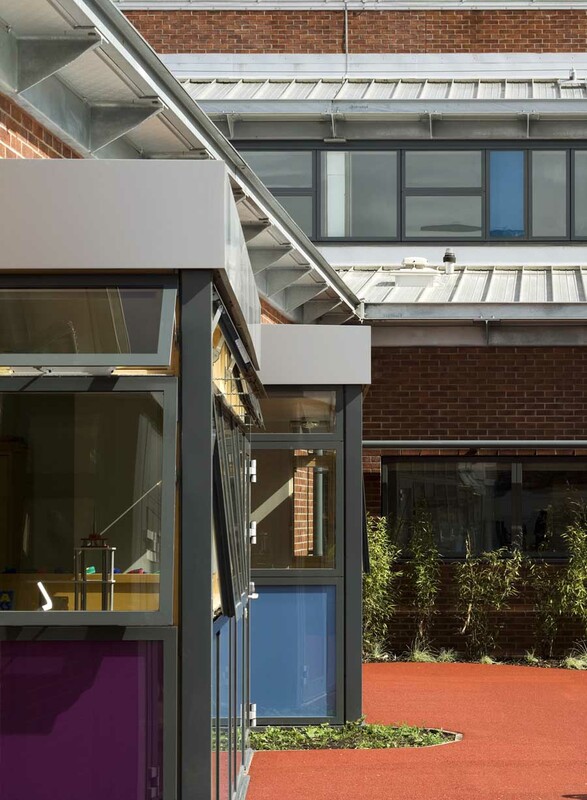 The shallow plan facilitates natural ventilation and classrooms are designed to prevent over-heating, while the play courtyards are sunny, but sheltered. The sustainability of the materials used has been maximised. Anderson Bell Christie’s remit included Project Management (working closely with the Council Project Officer), Lead Consultant, architectural design; interior design; access/ disability design & audits: acoustics; model making; cad visualisation; landscape design; brief development, community and stakeholder consultation; contract administration.